Welcome to Simply Property Management- a one stop solution for all your property management needs. If you are an investor searching for a company to manage your property, we pride ourselves on being the best company by offering you with specialized services that your property deserves, which includes offering you with a qualified tenant, keeping your property in good condition, collecting your rents on time and much more. If you are thinking to buy a home, we are there to help you to purchase a good home at a price that you can afford. Likewise, if you want to sell your property, we have a list of potential buyers. We at Simply Property Management are committed in offering a wide range of quality Tampa Bay property management services as well as the highest standard of performance to our clients. Our goal lies in thinking about the future of our clients and striving hard to fulfill the wishes of each and every one of our valuable customers. 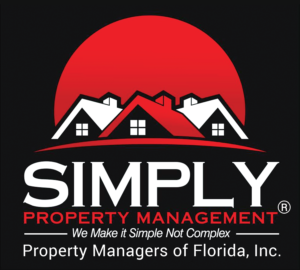 At Simply Property Management, we are a reputable company providing grade A+ property management services to our clients in Tampa as well as its nearby areas. Our Tampa Bay property management services include the following. Complete screening of the tenants that include credit checks, criminal background screening, rental verification as well as employment verification. We have years of experience in each and every aspect of property management and thus offer our services at an affordable price. 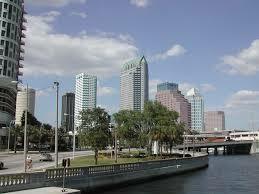 We have a dedicated team of honest, highly trained managers and a great knowledge of Tampa Bay property management. Our property managers are highly qualified and we are ready to offer any sort of assistance in managing your property. When it comes to hiring a Property Management Company, we can proudly say that we are the best choice. We understand that our success totally depends on the success of our clients. Thus, we completely focus on managing the property of our clients and work diligently to make our services more effective with each passing day. Tampa Bay, Florida offers both excitement and relaxation. One day you’re enjoying thrill rides and animal encounters, the next you’re strolling down historic YB or City and catching a Broadway Show. From Busch Gardens to the Tampa Museum of Art, our ever-evolving city will give you plenty of opportunities to enjoy our beautiful sunny Florida weather. End your day by having dinner in our award-winning gourmet hotspots or watch the sun set on America’s top ranked beaches.